The bridge construction was ordered by the Emperor Trajan as a supply route for the Roman legions fighting in Dacia. It was work of the Syrian architect Apollodorus from Damascus and it was constructed remarkably quickly in only two years (between 103 and 105). This remarkable ancient construction work was 1135m long, 15m wide and 19m high measured from the surface of the river. 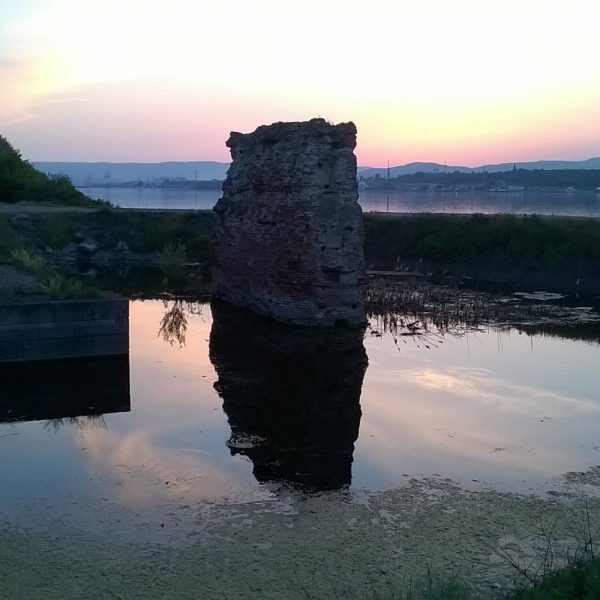 Simultaneously with the bridge, on river banks Roman camps Drobeta and Pontes were constructed. 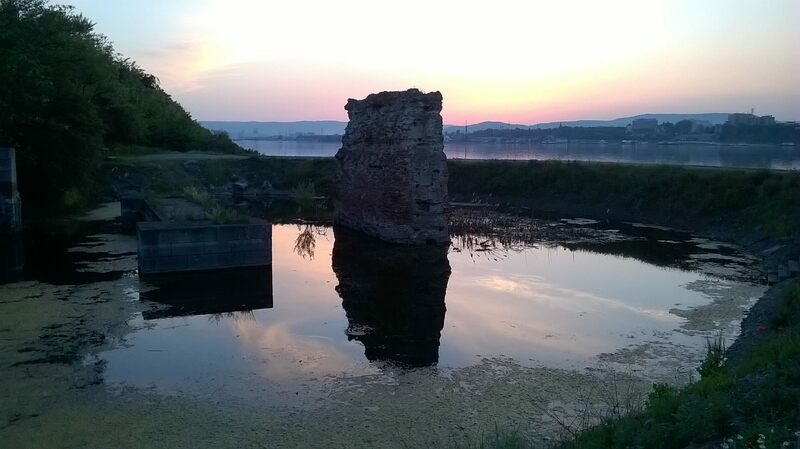 Today remains of the first columns (out of 16) can be seen on both sides of the coasts of the Danube.